They’re loved by students, parents and school teachers alike - because they’re fun and encourage children to develop into young, responsible adults in a natural way. 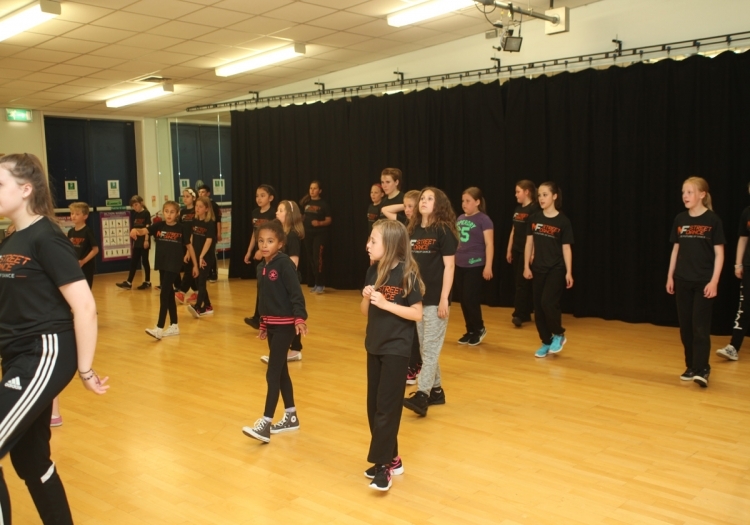 Street-Dance is one of the most popular forms of dance and is a fun, funky way to keep fit and make new friends. Using current music from the charts and MTV, Street Dance styles have been commercialized, professionally developed and choreographed for pop and R&B music videos. This class also provides routines and exercises that build strength, flexibility and stamina. Our students learn a wide range of steps in order to learn new skills. We challenge them with more complex moves over time, which will allow them to master different techniques and gain a sense of achievement. The Junior Streetz programme works hand in hand with a child's schoolwork, providing improved self-discipline, self-confidence and concentration. It also heightens mental alertness, co-operation, goal-setting advice and anti-bully skills. Our Dance Instructors work with their students teachers, to make sure they’re achieving in the classroom as well as at the dance school. We’re educators, not standard dance teachers - and we run "dance schools" not "Dance clubs". The students in our Junior Streetz program are required to take a specially designed form to their school teachers once a month. This has to be signed by the school teacher before the student can be considered for an exam which will take them to their next dance grade. The form also needs to be signed off by the parents, to show they’re well-behaved and show respect at home! 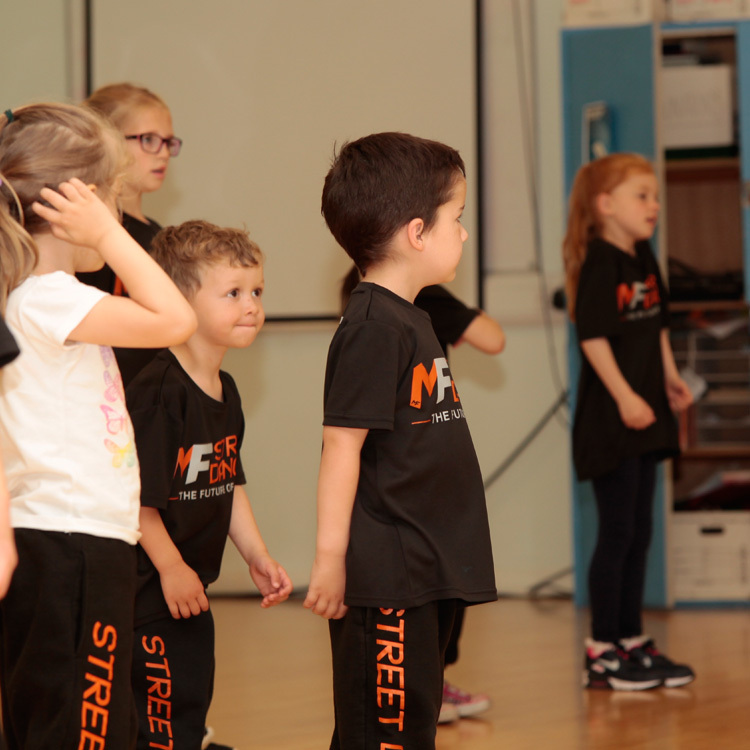 We won’t just teach your child Street Dance, we teach them educational skills that will stay with them forever! None of the above would be possible without our outstanding Dance Instructors, who guide and nurture your children. 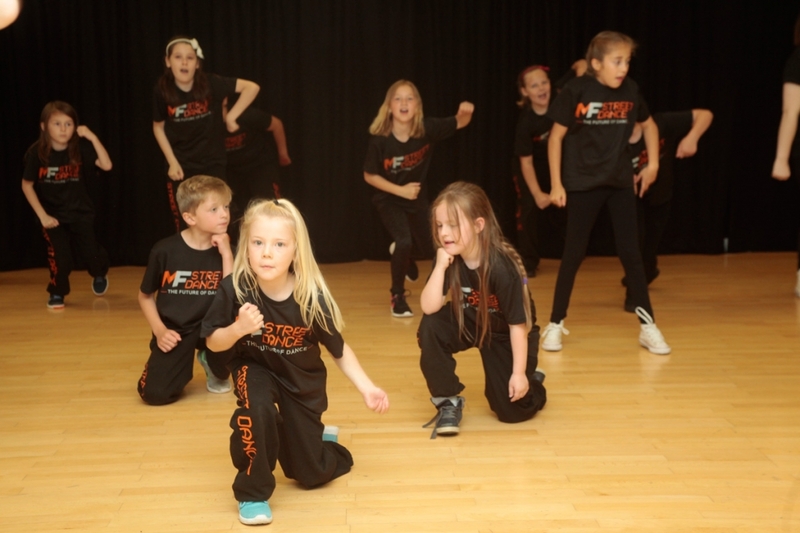 MF Dance only employs fully qualified instructors who have been CRB checked. These classes are aimed at children aged 3 - 6 years. They give them a chance to burn energy and enter the world of dance in a fun but professional way. Students are introduced to dance and movement using natural body actions, such as walking, running, jumping and skipping - with skills and drills that are proven to work. MF DANCE runs two levels of Commercial Street & Hip Hop Dance Courses - one for beginners (those of us who have never danced, but always wanted to!) and a faster paced course for those of you who have danced before intermediate level. Martial Arts Programmes for all ages and fitness. Young children and adults are welcomed at all levels to learn how martial arts can be combined with fun, fitness and structure to help anyone get the most out of their life.